“Couples who can successfully & happily RV together, stay together”. One of the luxuries of RVing is the ability to pick up and go pretty much wherever you want. Your can take your significant other to a National Monument or drive some place you’ve never been to camp out for the night. So RVing naturally gives gentleman (and ladies) an advantage when it comes to “wooing” your loved one. You have the world at your fingertips. I can’t imagine anything more romantic than sitting quietly on a mountain top somewhere or taking a sunset canoe ride on a beautiful lake in Utah. Ultimately, it’s a matter of taste. Here are some date night ideas that can happen regardless of location, each catering to different interests. Game Night | What puts you in a better mood than some light hearted laughter. WARNING: this may not be the best idea for the poor sport. If you can handle some friendly competition break out the Monopoly and let the games begin! Cook A Romance Inspiring Campfire Dinner | Oysters are the most commonly known aphrodisiac- which are foods proven to spark romance. 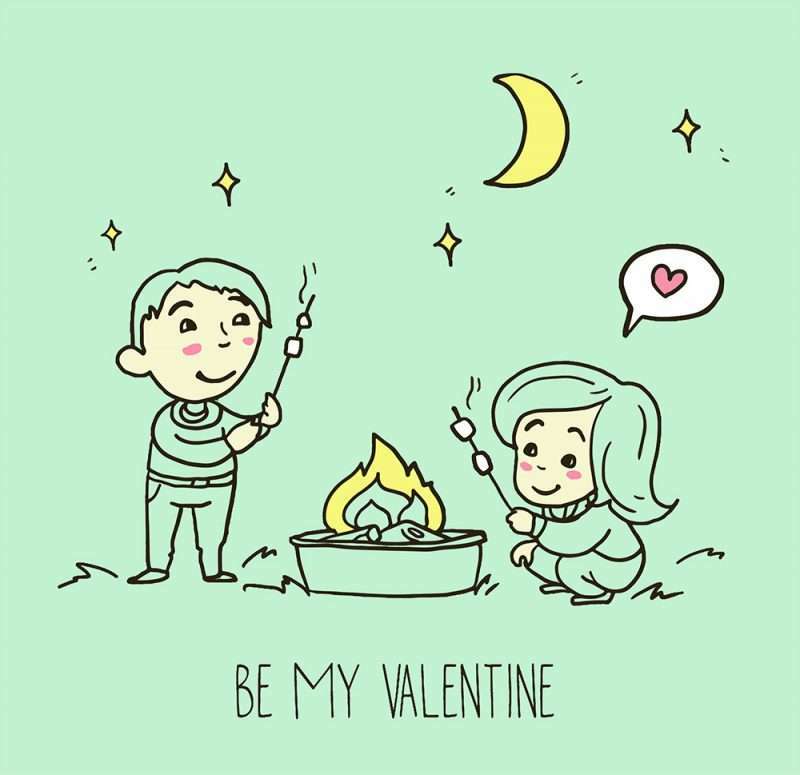 Cook an aphrodisiac inspired campfire dinner together using foods that have all proven to ignite romance and see if science holds true for you. Hunt For Shooting Stars | Lay out a blanket and watch the stars. Look for shooting stars, constellations, and even galaxies. If you have an Android phone there is an App called The Night Sky Lite that will assist you in identifying different stars and constellations. Sit By The Campfire With A Glass Of Wine | Sometimes simplicity is the best thing. Put on some good tunes and sit by the fire. 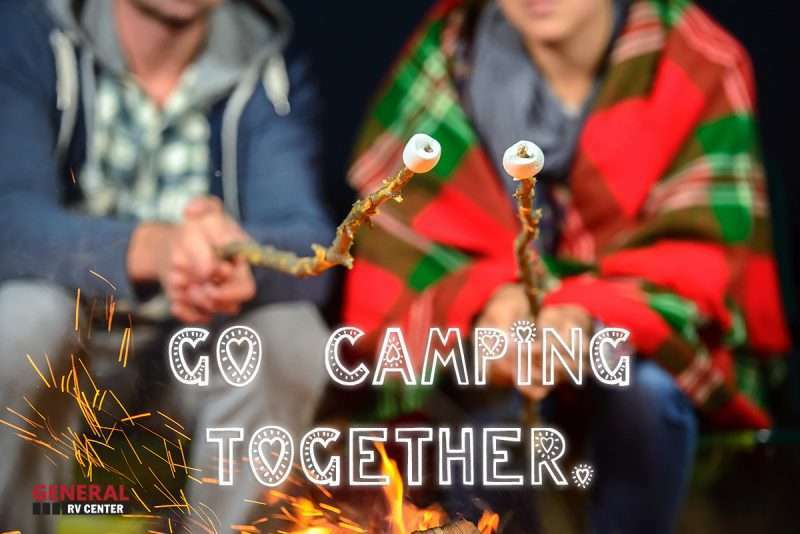 Maybe heat up some S’Mores and just relax. Go Geocaching | Geocaching is an outdoor scavenger hunt with strangers. Using the Geocahing App on your phone the app & your GPS will guide you to find hidden treasures in your area that people have left. Once you find the Cache you sign your name and leave it in the place where it was found. Create a day full of memories, documenting each find with a cute photo. This is a great activity to do as a couple or with a group. ← Nationwide Press & RV Sales On The Rise!